Following years of neglect and chronic under use, inStreatham BID want to help reclaim a precious piece of green in our busy urban landscape for local families to enjoy and play! Streatham Green sits almost exactly halfway along Streatham High Road - a 2.6 mile key arterial road, between Croydon and Brixton. In an area of high population and traffic congestion, Streatham Green has great potential, but for many years it has suffered the anti social effects of street drinking and pigeons. The redevelopment of the adjacent Babington Road area has included a new Saturday market, frequented by locals and visitors. 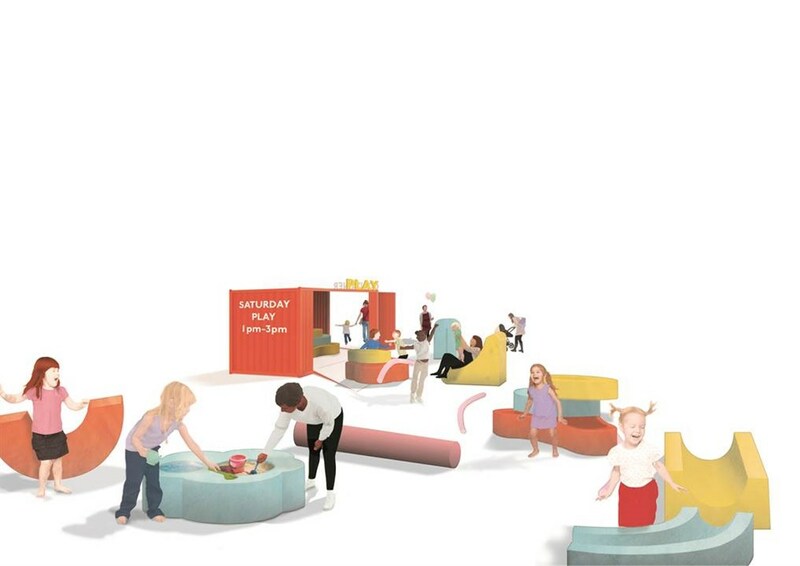 By introducing a play environment to Streatham Green, we could reclaim the space and encourage families to spend time there - browsing the market, enjoying the play facilities and helping to reignite the space. In turn, this would see increased interest both in the market, and local shops and help promote the area. 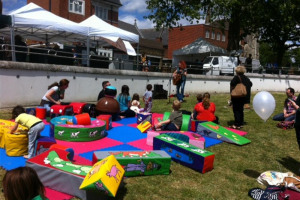 Play on the Green is part of a wider initiative for improving the area for people who live and work in Streatham. Investment from Lambeth Council and TfL have brought the changes to Babington Road, and inStreatham want to build on that investment. Play on the Green is only the beginning. 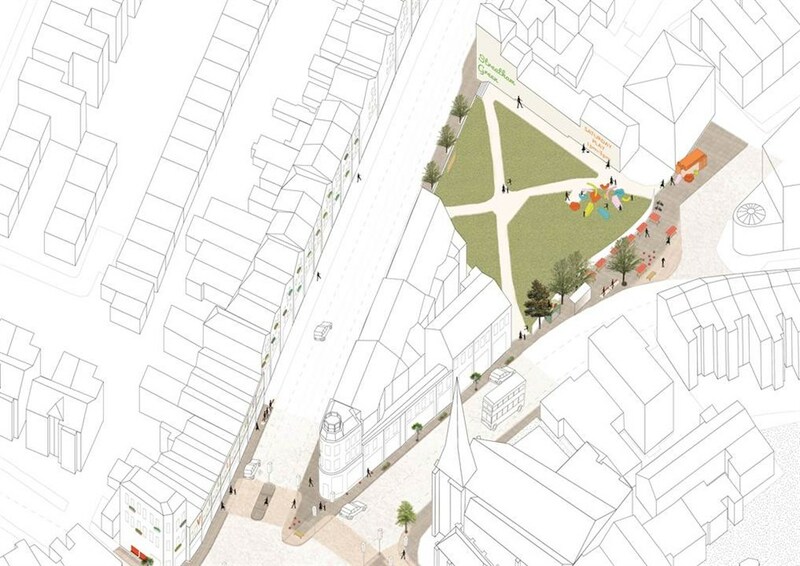 Once the area is being used positively, there is scope for more projects and further improvements on the Streatham Green. Wider benefits of the project include encouraging partnerships, and building on those that already exist. Not only improving the look and feel of Streatham Green, it would also serve as a physical meeting place to facilitate engagement with the community. We are working alongside the Friends of Streatham Green, City and Country Farmers Markets (the market operator), Lambeth Safer Streets Team and the local Police to ensure that the project is well managed, safe, sustainable and supported locally. 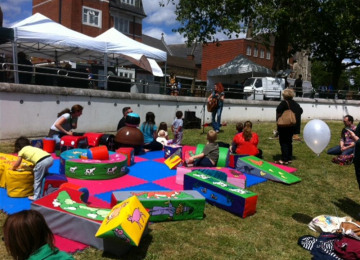 inStreatham BID has funded a trial of Play on the Green throughout June. 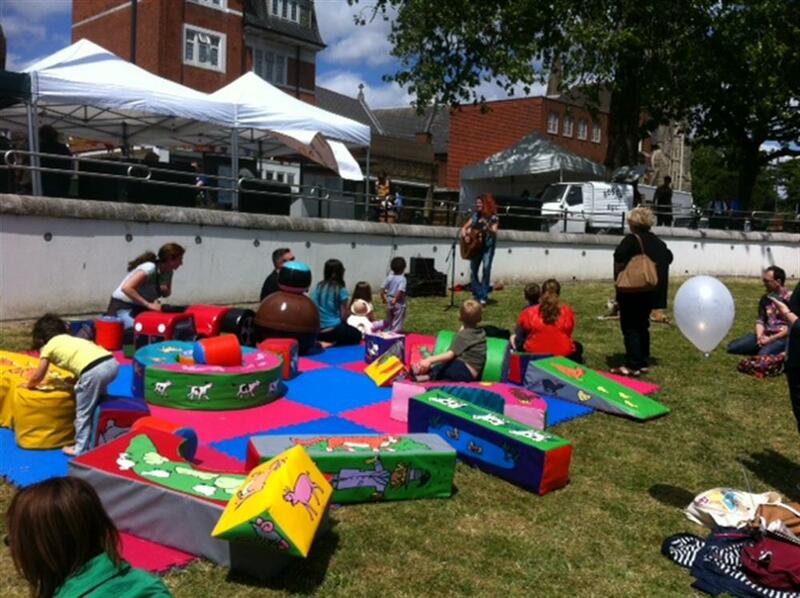 It has been lovely to see so many families enjoying their time on Streatham Green! If you'd love Play on the Green to continue, please show your support by making a pledge! 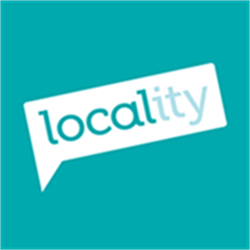 Project Delivery Manager: InStreatham The Project Delivery Manager takes legal responsibility for receiving and spending the funds raised and ensuring the project is delivered. Contractor: InStreatham The team responsible for building or installing the project.